Anyone can collect smurfs. All it takes is one smurf which quickly becomes two smurfs and then before too long you have three. Once you have three smurfs, you now officially have a collection of smurfs not a crowd of smurfs. I would like to think of myself as a self taught collector calling myself a ‘Smurf Apprentice’. Initially I started collecting smurfs that I liked the look of and this is when I began to discover all the different colour variations. I had no idea in the beginning that Sunbather was painted with four different coloured striped bathers. Around the same time I discovered different coloured variations, the Der Schlumpf Katalog IV was published in 2003. For about six months I was put off buying the book as it was written in German and I thought I would struggle with trying to translate the descriptions into English. This has probably been the best smurf investment I have ever made, as I continue to refer to it over and over. You can’t trust everything you read on the internet, as anyone online can tell you it is a ‘genuine’ smurf. At least with a book, you would like to think that it has been checked over by other experts. I was also lucky enough to be able to buy smurfs in person. The advantage of this it allowed me to use all my senses when buying a particular smurf. It allowed me to examine the smurf up close and see any imperfections such as ink or grime marks which are hard to see in a photograph. You will also be able to see if the smurf has been affected by the sun or if it’s previous owner was a smoker due to the white pvc turning a nicotine yellow colour. By picking up the smurf with my fingers I was able to feel the texture of the pvc. A good example of this is by comparing a Bully smurf and one made in Hong Kong blindfolded. Commonly the early smurfs produced by Bully are made out of a softer pvc material and you could squish them with your fingers, where as the ones made in Hong Kong are made out of hard pvc material. I was also able to smell the smurf, as silly as this may sound. Again by smelling the smurf, I could tell if it once belonged to a smoker or if the owner used to have pets such as cats or dogs. Some smells can really linger longer than you think. It wasn’t long after buying different coloured variations, that I started to notice the different markings and paint dots that could be found. In the beginning I had no idea what the paint dot represented other than it was for some kind of quality control. I also couldn’t understand why some smurfs just had a © Peyo marking and others had more detailed markings such as Made in Hong Kong W. Berrie Co Schleich S © 1980 Peyo. I soon started to learn about the different markings and what to look out for if a smurf had particular markings. Once again I was often referring to the Der Schlumpf Katalog IV to ensure my latest purchase was genuine. I also joined the Blue Cavern forum on the internet, which opened my door to a variety of collectors from around the world. The Generosity of those who contribute to the forum, continues to amaze me; always happy to share their knowledge through the telling of their personal experiences and sharing pictures of their smurfs. So how does one collect smurfs? The first thing you need to ensure is that you decide what type of smurfs take your fancy. Buy what you like the look of and happy to display. Don’t buy smurfs just because you are trying to impress your friends. Take the time to learn and research about your smurfs that make up your collection. The more you learn about the smurfs, the more interesting your collection will grow. As the saying goes you never stop learning. Don’t be afraid of handling your smurfs. Your senses will play a pivotal role in determining what you will buy, so don’t be afraid to use them. Share your passion with others. Not everyone can tell the difference between two smurfs with the same markings, so don’t be afraid to share your knowledge with others. Your passion is what makes your smurfs collection unique. 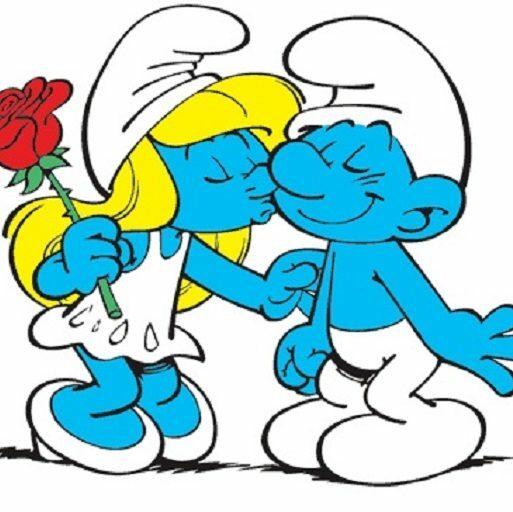 There is no right or wrong way to collect smurfs, as long as you enjoy the experience and the happiness it brings to your life and others.